This is Fred speaking. It is my honor to be here once again, with each of you, as the Spokes-Being for this marvelous Temple that we all come to for great healing. This evening is another special occasion. It’s a special occasion of acceptance, integration and.. I cannot say any more, they’re tapping me. It is now being presented through the Frequencies and I thank each of you for being here with us. ~~~~~~~~~~~~~~~~~~~~~~~~~~~~~~~~~~~~~~~~~~~~~~~~~~~~~~~~~~~~~~~~~~~~~~~~~~~~~~~~~~~~~~~~~~~~~~~~~~~~~~ Greetings. It is with great pleasure that I am being honored in this moment to share with you the Essence of Totality upon this Earth Plane and to embrace each of you for the pathway that you’re all embarking upon. I Am Lord Buddha at your service. There was great reflection earlier this week, in your timeline, of what we would present at this time because we understand that each of you are truly going through some immense changes on a physical basis. We wanted to present to you, through theTemple, an ability to feel the complete integration of your Soul’s Essence within your Physical body, to assist you in the presentation of your life and your world. I conferred with Sanat Kumara. I conferred with many others – all the Ray Chohans- and the Essence of the Spiritual Hierarchy as we know it to be as many doors are opening for each of you because of the Inner work that you are doing. Some of you may not even have full realization of what is occurring for you on a physical basis. Tonight we wanted to assist you in bringing in those realizations more fully in your physical self. No. 2 – a celebration for you to accept, within your Physical Essence, exactly what has been transpiring for you. It all comes in small steps and the true reflection that is necessary for each of us, is to understand how those steps all blend to create the true pathway in each circumstance. We speak about the pathway. We open up the Golden Pathway tonight. We open up the Energies for each of your I Am Presences to be more fully active. First, we say to you in these moments, take a deep breath. Allow the full activation of your Higher Self first. That Soul Essence that has the capability of the Knowledge and the Wisdom that is so part of those Higher Frequencies – to bring them into your Physical Existence, to assist you in the transference of Light when the Physical Body is on the surface of Earth. You traveled far and wide to get to this place, so we want to assist you in this process. Assisting you in this process is an acceptance of the moments that you have put together in your remembrance phases. 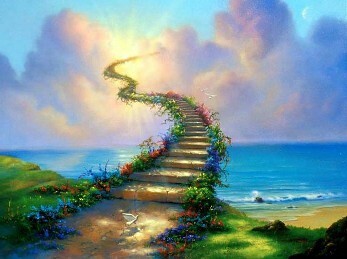 In your remembrance phases, you may not always acknowledge each step that you have taken. Within these processes are, what we call, initiations – because each of you are on a Mastership pathway. If you had not awakened, you would not be on the Mastership pathway as part of the process within your Divinity to accept it upon this Earth. But, in essence, each of you have the ability to move through many more levels than your physical Mind can accept. As we open up ourselves in this moment, allow us to feel the Essence of Sea Foam Green. 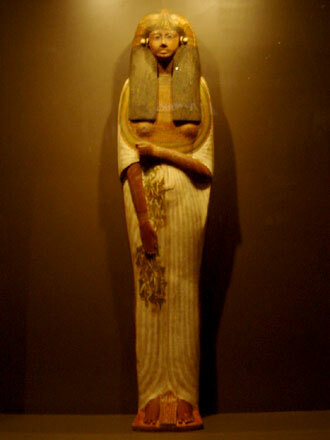 As Dearest Lady Isis joins me in this moment. I’m going to step aside just for one moment and I’m going to allow Her to bring in this Frequency for each of you. Greetings, it is my pleasure to be here, as Lady Isis, to assist you in this process. I extend to you the Essence of the Sea Foam Green, of the internal cleansing process, to bring in Elements through your Physical Essence – allowing the Emotional and the Mental to be fully in balance and to accept your Highest Presence as your Guide. Let us breathe deeply as we open up all the Frequencies in each of your Chakras. I expand unto you, in this moment, through the Essence of my breath to bring unto you this Frequency to assist you in the deep cleansing that may be necessary for you to activate your Higher Self fully within your body. Allow me to infiltrate within you, the Essence through this vibration. The Frequency of Light blends through your entire Being – the structure of your Physical, your Etheric, your Emotional and your Mental are One Essence of completeness. Now your Higher Self is more fully active within you. He or She brings forth the Essence within your Being. Allow yourself to just expand within the breath. Breathe. Breathe. Breathe. I am honored to be chosen in this moment for this cleansing meditation for each of you. Thank you Lady Isis. This is Lord Buddha once again. We now feel the Frequency of our Higher Selves more fully within the capacity of our physical existence. In this moment, we are in this beautiful Soul Temple and each of us are without bodies. Each of you should be able o feel your Light Body more actively. Those of you that are in the Physical Body that are here visiting, each of the Souls that are here will feel the Frequency of their Light Body shifting and changing. There are some souls that have never fully actualized their Higher Self in this manner. As this is a Temple of healing, there is great healing that goes on in this area. As we look above into the Temple, we see the Sea Foam Green Light filtering through all Elements within the Temple – it will assist each and every soul in this moment, to fully and to complete the cleansing process of this level. Those of you that are new in theTemple, as you may have just passed or have been traveling elsewhere – you’re coming into this space – it is now time for you to remove the old aspects that were part of the 3rd Dimensional Earth. Each of you that are within bodies who are visiting within this deep mediation that we are bringing forth to you in this moment, are also accelerating yourself. We are creating a special dispensation. Within this dispensation, we are asking that the 3rd Dimensional Frequencies that are within your body are going to be turning into the purest form of Light. As the Sea Foam Green represents the 8th Ray and the 8th Chakra, you move into the 4th Dimensional Chakra grid – so we’re asking the 8th Ray to fully infiltrate each of your chakras and to incorporate with the previous Rays within your Physical Body. As we do that, you’re going to feel a filtering going on within your Root, through your Sacral, through your Solar Plexus, through your Heart, through your Throat, through your Third Eye and your Crown. All these Elements are now blending into the purest form of Light you have ever received. Allow yourself to now feel this activation. You should now feel the Essence within your Physical Body as the first seven chakras represent the Physical Body. They are the first structure, the first basis, through the Elements inter-workings. We ask now for you to feel a forward feeling of being within the 8th Ray. Lady Isis so eloquently imbues upon us with Her Beauty and Her Grace, for each of you to feel this in all aspects within your Being. Allow it to go into your Physical existence. We’re going to center upon really assisting the Physical Body, at this point, with the Sea Foam Green. Allow this Frequency of Light to unfold within you. Allow it to go through your brainwaves, into your sinuses, your ear canals, your nostrils, teeth, your gum line, your neck, and your muscles. Many of you have neck issues. Allow the releasement of the pressure that you’ve been holding – there’s no reason to hold on to this because we are helping you to attune to the Higher Frequency within the physical. Allow it to move into your shoulders, your arms, and your finger-tips. As you move the energy down your body, into all the organs and the inner workings, the muscles, the tendons, the spinal column and the fluid levels that run through the body, of the inner workings. We ask for the body to be at a 100% ratio of all the inner workings by allowing it to go into the bone structure, deeply into the cellular structure, as the physical is housing this cellular structure. As you allow the body to relax through all these Frequencies, it moves down to your lower limbs. We ask any Elements of any disease, of any form, to be purified by the Sea Foam Green in this moment. Allow us now to bring in this Frequency to assist you in this process. Now feel the physical body, totally relaxing unto these Frequencies. These are your Frequencies, these are the ones that your Soul’s Essence is incorporating on many levels of the Inner Plane Frequency. We now bring it to each of your Light Bodies. Allow the Light Body to accept this Frequency and to blend within, the Essence that you are. We’re now going to ask that the colors of Blue Green, of the Attraction to the Body of Light, the Pearlescent of the Soul Merge – of the Male and the Female, the Bridge to the New World- through the Pink Orange, and the Golden Flame – coming into your Heart. Let us now infiltrate these colors within you – don’t worry about which chakras they are associated with. Although they go in line from the lower, up to the Heart of what I have explained. We’re going to merge the Gold, then we’re going to merge the Pink Orange, the Pearlescent and the Blue Green as it moves into the Sea Foam Green. Now you are colors upon colors, representing the basic seven Frequencies of the Universal Rays and the chakras that are combined – of Red, Orange, Blue, Indigo, Green, Pink and White Light, mixed with Golden Green, Golden Yellow, Deep Blue, Deep Pink, Ruby Red, Violet, and Crystalline Light. Now all these colors are merging together as they represent many different aspects- we’re not going to worry about those elements at this time. Now we’re going to ask for the attraction of your full capacity to bring in the Highest Frequency of the Golden Essence, as this is the beginning stages for each of you to feel your I Am Presence more fully activated within you. It will not occur on these levels, but you will be able to integrate it. Allow yourself to breathe deeply into your Higher Self now, as He or She, the Frequency of their Energy settles in the Thymus, but it is all part of your entire Beingness. So if you need a little push to bring in the Frequency – allow it to go down your limbs and into your feet, into your Earth Star. We now ask the Earth Star to spin in a clockwise manner and as it spins, it’s going to go deeper, below your physical body then it has before, so we can fully ground it deeply into that Essence. Let’s just center upon all these Frequencies of colors that are coming within each of you in this moment, that are within theTemple. Each of us is feeling this Frequency of Light. Allow us now to expand within this level of vibration. As we are in this Frequency of Light, let us now center our Energies upon the rest of the world, through Gaia, through the Earth, and just expand your Energies. We’re not going to actually go into any specific points of interest but we’re going to send it to the Global functions. As it moves down through the Universal, into the Galactic, the Solar and then the Earth – visualize what we are doing in this moment within this Temple to be expanded upon the Earth. Tonight we bring the Earth to the Temple instead of theTemple participants going to the Earth. 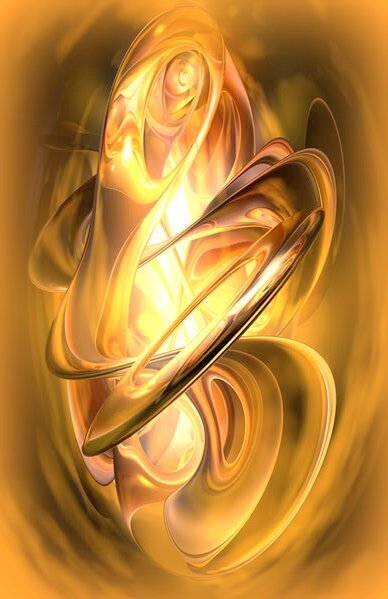 Feel the Frequency of the Earth Energy coming within the Temple and it is now raising its vibration, its Frequency to this 4th Dimensional level of the Golden Flame, which represents the Christ Consciousness. We ask every part of Gaia to feel this Christ Consciousness, not just in this moment but in all the moments from this point forward. Let’s vibrate these Energies unto the Earth, unto all Her participants, Her inhabitants, all Frequencies of Light – for all to arise to the awakening that they are. Feel this Frequency of Light but also to feel the Balance as we bring Gaia into this space in this moment, allow ourselves to just feel the Oneness with Her Essence. I come from the Heart of Gaia. I come with great pleasure. I come in gratitude. I come in love and say unto each of you – I do feel all that you are creating. Elements are changing within the land masses, within the Heart of My Heart, as all of our Hearts are in the same frequency in this moment. It is my pleasure to bring the Essence of the Earth unto this Temple of Light, unto each of you – as we all are aspiring to create the highest Frequency upon all Elements within the Earth. I take with me this Frequency within this Temple. I take the Heart of each of your Hearts – a piece of you, as I feel your Essence in this moment. And what we all mean unto each other as I am in great gratitude for the work that you are doing upon the Planet so that we can all ascend together. It is my greatest desire to be within Oneness within each of your Essence. And I feel that Unity, that Completeness, in this moment. I Am One with you. I Am the Heart of Gaia. This is Lord Buddha once again. It has been my pleasure to be here with you in this moment. I want each of you now to just sit back and receive as I have a few words to say unto each of you. Gaia has been expressing Her desire to share Her gratitude with each of you, with each of us, and what we are all doing together on all the many levels of Dimensional Frequencies to assist in this process of Divinity. It comes from the deepness of Her Heart, it flows to the Inner Earth Beings, it flows to the Upper Earth Beings, it flows to the Inter-Galactic Beings, it flows to the Solar Beings, it flows to the Multi-Universal, the Universal and it flows into the Oneness that we all are as this Temple so expresses these Elements. Let us just take a moment to feel the Frequency that is within the middle of this Temple, of this Space as we have created a new avenue for the Frequency of Gaia to be more physically part of these Elements, that each of you are experiencing within your lives. I, as Lord Buddha the Planetary Logos, cannot express my gratitude more deeply than Gaia has expressed Hers. I say to you that we’re all in Unison, of the Teachers and the Masters and the Light Beings not in body, that each of you expresses your desires unto us and you follow our teachings, you follow our thoughts, and you create your own. You truly are the Masters of the New Earth, and we will do everything that we have within our grasp to assist you to manifest all these Frequencies unto yourself to assist you in this process. We know that this transference of Light, this transference of Dimensional Frequencies – is the hardest that it has ever occurred on any Planetary level. I stand here with Sanat Kumara, who has now become more actively participating in each of your Essences, to assist in this process. We extend unto you in this moment the ability to fully feel your Highest Self within your physical body. It is imperative at this time. There is no other way for you to accept the challenges that you are undergoing. Yes, the Planet is still under siege, yes there is great duality but you can arise above that duality if you allow yourself to feel this Frequency as it is in this moment. As we embody to you the Golden Ray of the Christ Consciousness within each of your Hearts, allow yourselves to fully experience the Life that you desire because it is attainable. It is truly attainable and now we have the ability to assist you more fully then we ever have before because each of you is more fully awakened unto the levels of Frequency and Dimensions within our availability. We’re going to ask for the Creative Source of Oneness, also known as the Unified Whole, to assist us in this process in this moment – that each of you be activated unto your Heart Center, and within your Thymus, so that your Higher Self is more actively in the participation of your walk upon this Earth. 000-144-000 Unified Whole Command Online. 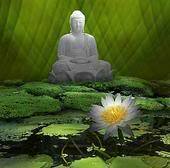 I, as Lord Buddha the Planetary Logos, with the Frequency of the Unified Whole fully command that each and every individual in this moment of time, fully be activated with this seed. Now this seed is going to be fully active within their Thymus area and within the Heart. It is up to their discretion with their Higher Self and their Physical body, to fully move it through their physical Essence. Some may choose to do it immediately, some may have more of a challenge, but we open up the opportunity for each of you to receive this activation. This activation of your Highest Self unto your physical Being to assist you in the walk from the 3rd Dimension through the 4th and the 5th within your physical existence and along with that, we work with the Heart of Gaia as She is doing the same. Thank you. Thank you Unified Whole 000-144-000 Unified Whole Command Offline. Let us all now take a deep breath and receive this blessing, receive this Essence that is truly a gift from each of our I Am Presence, to bring the full I Am Presence of the God Force into this Temple at this time. Breathing deeply. As We Are All One Together. So Mote It Be In The Light Of All That Is. This is Fred speaking. I OHM – am in gratitude. Thank you for the ability to bring in these Frequencies within theTemple. I am deeply honored to be the Spokes-Person, this Being of Light that I have become. I am deeply honored that each of you join us . I am Fred the Spokes-Being for the Clarion Temple of 911 and Beyond – Unified in Oneness. Those words mean so much to me in this moment. Namaste. Join us on Monday evenings for the live calls at 5 PM Pacific, http://lifestationearth.com/page_156.html.